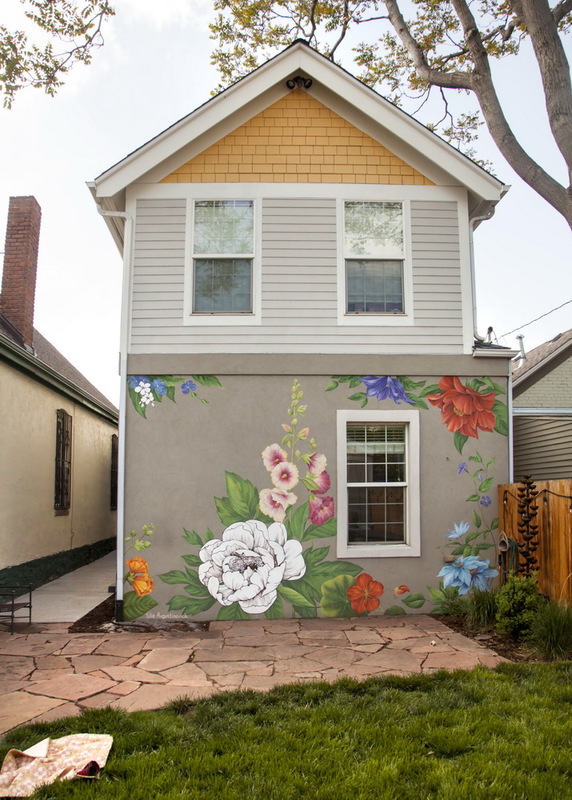 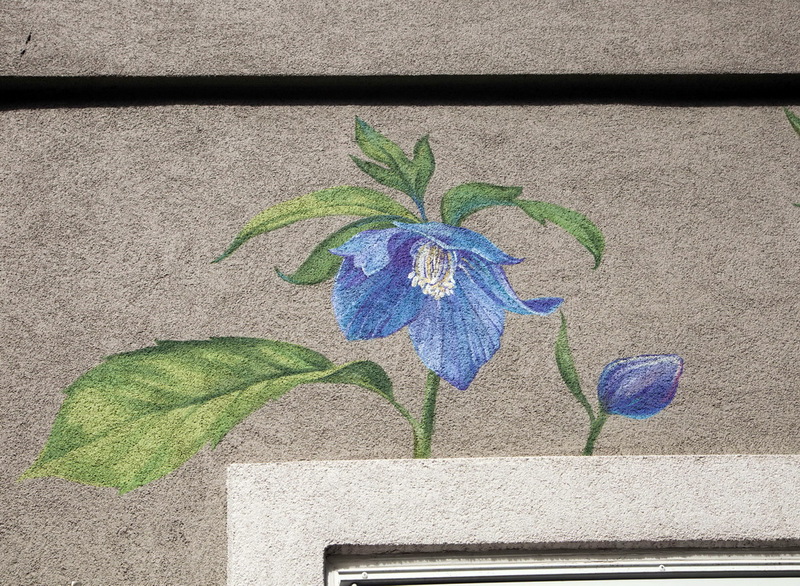 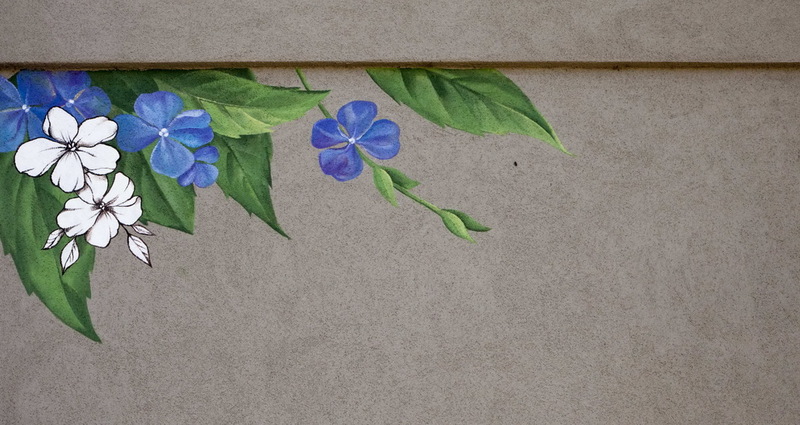 Flower wall art was created in May 2018 on the walls of a private house in the River North district (RINO) of Denver, CO. 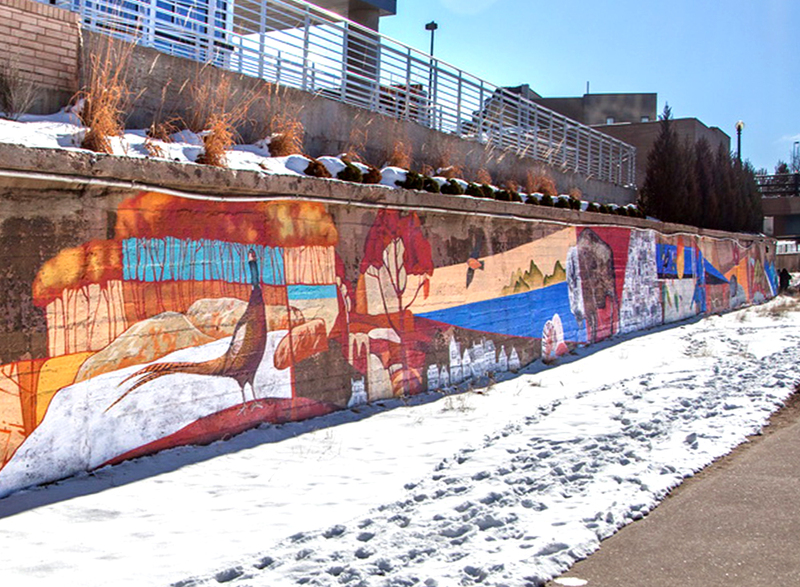 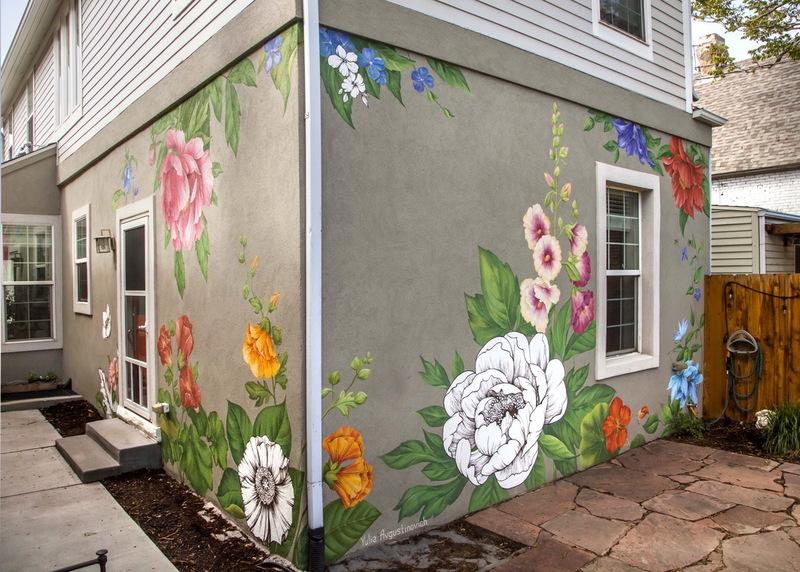 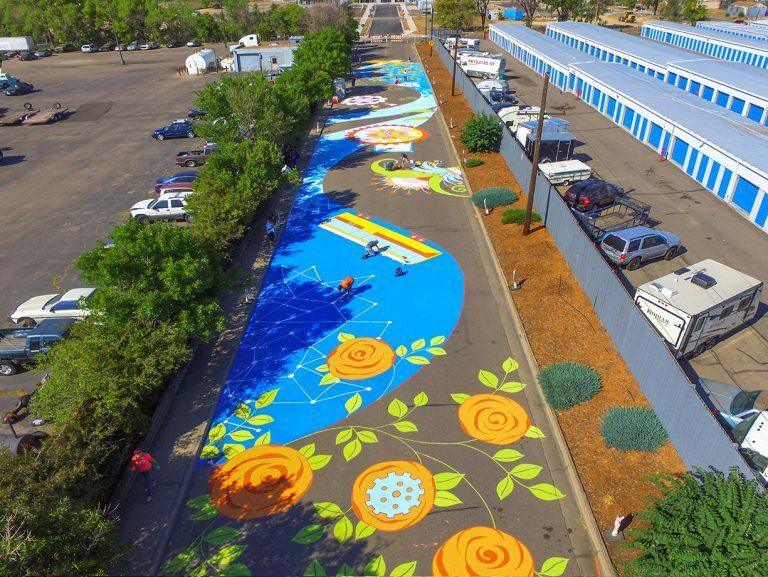 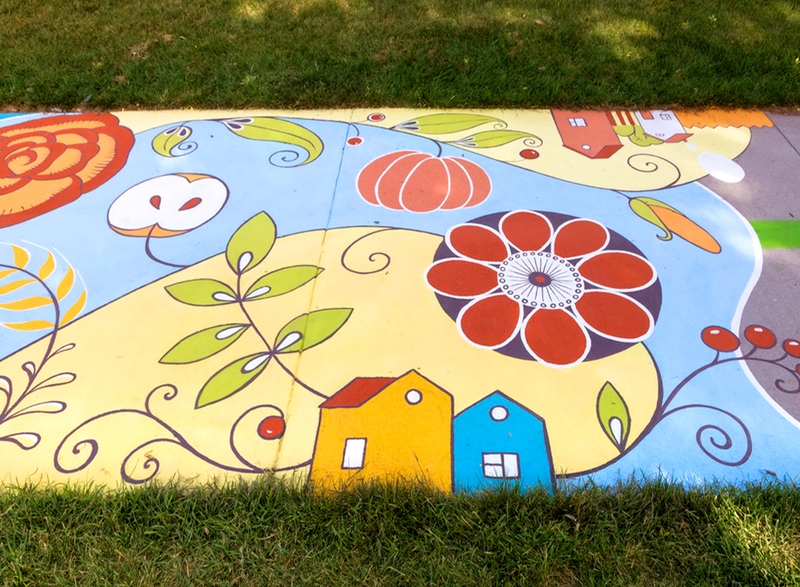 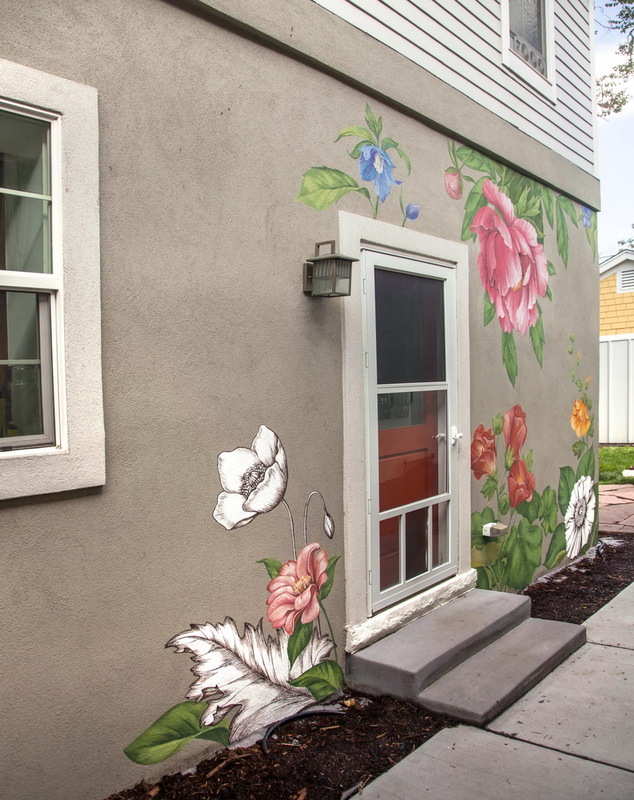 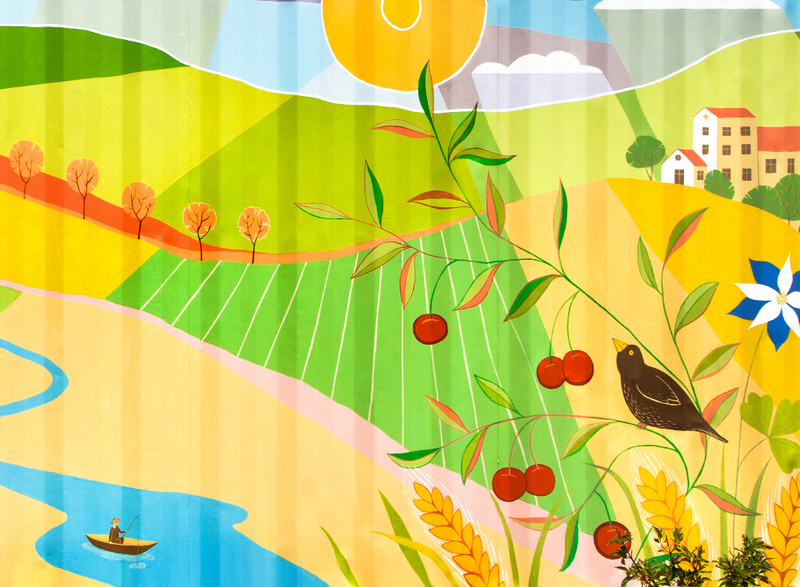 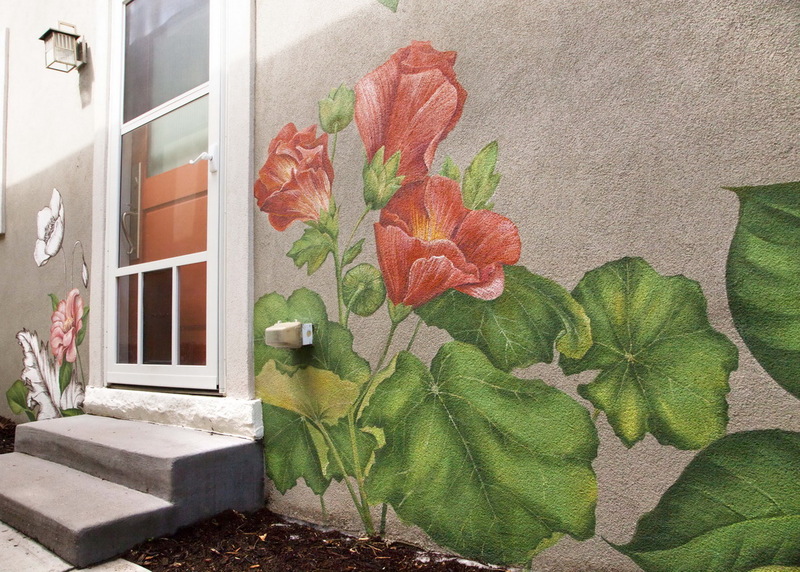 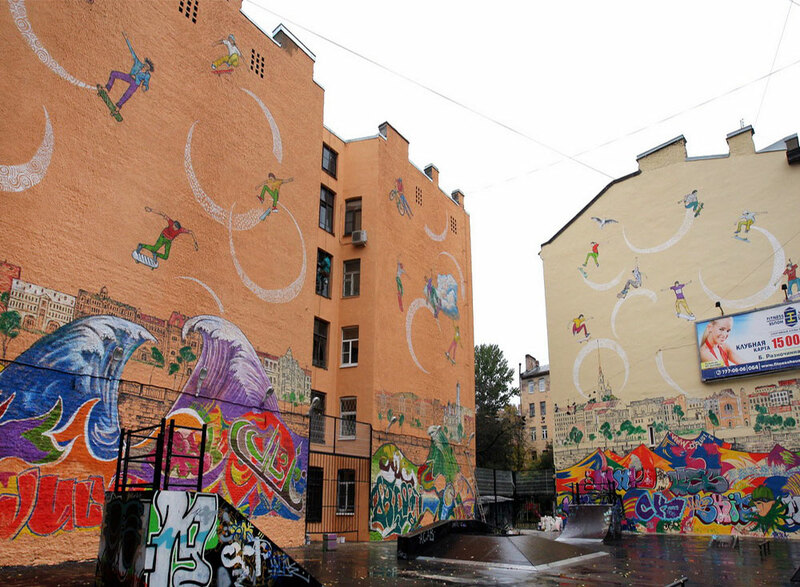 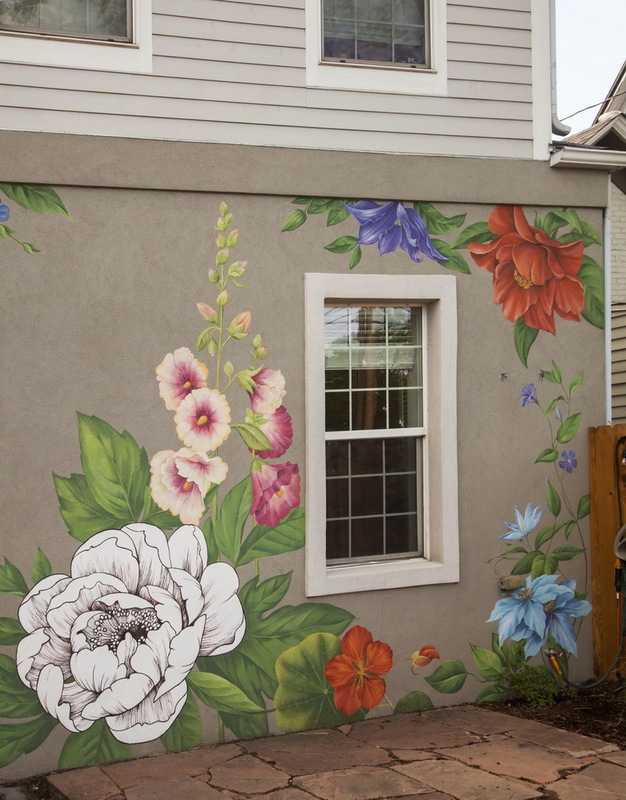 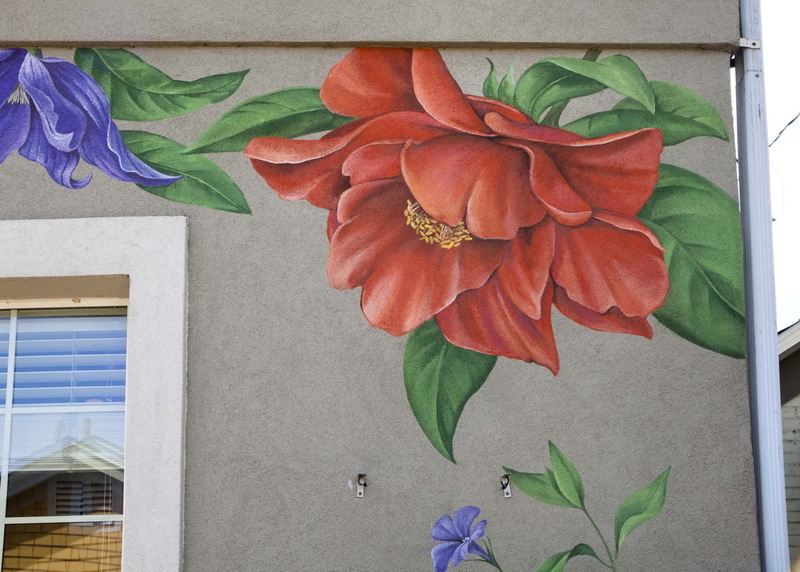 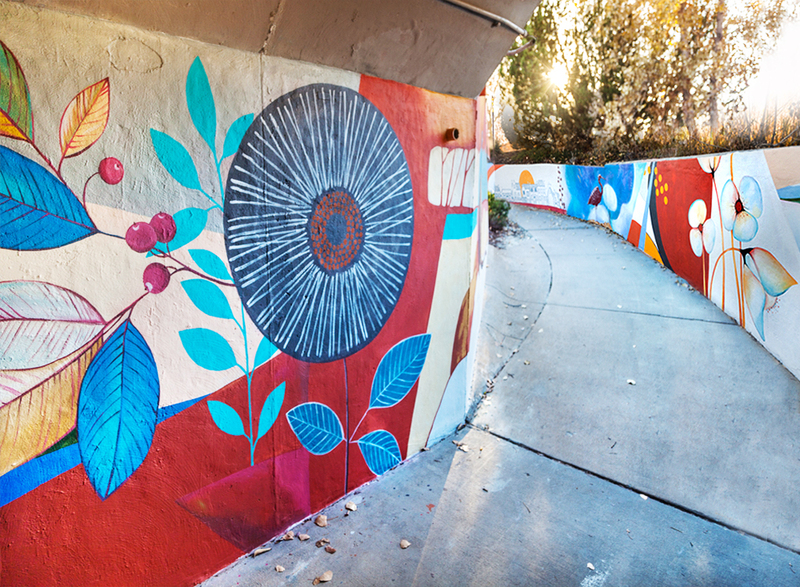 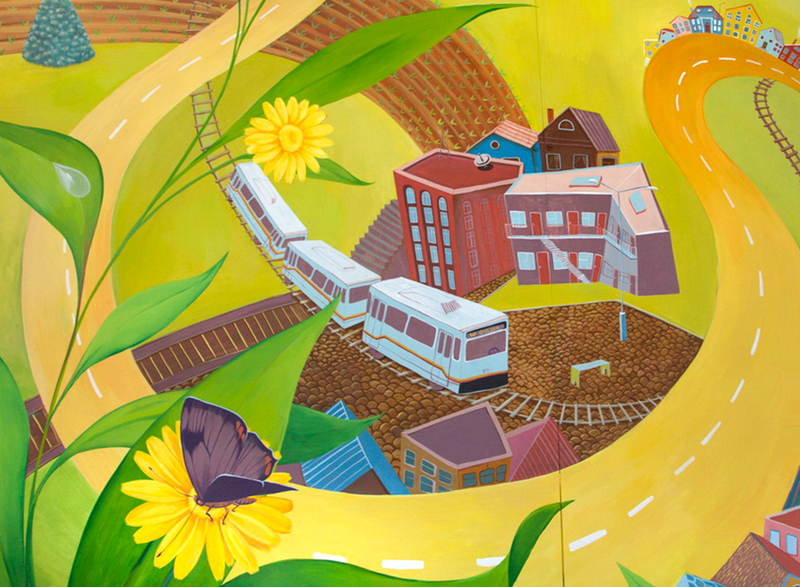 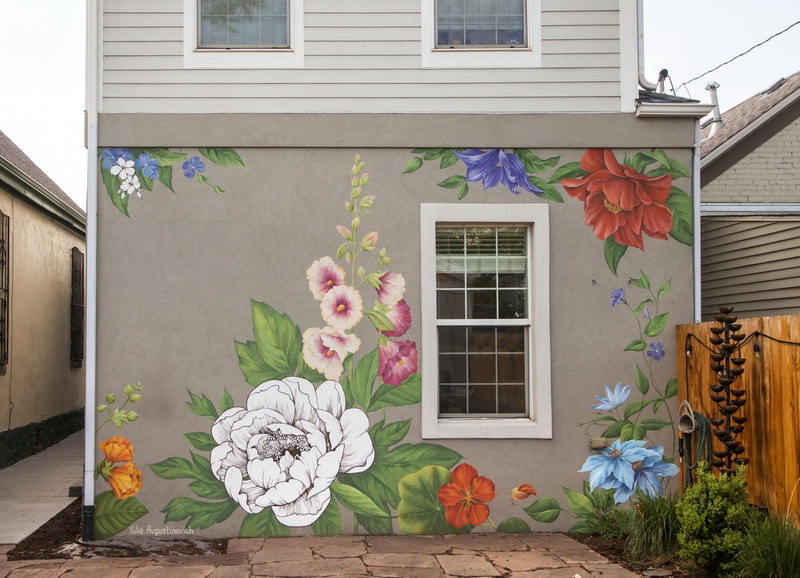 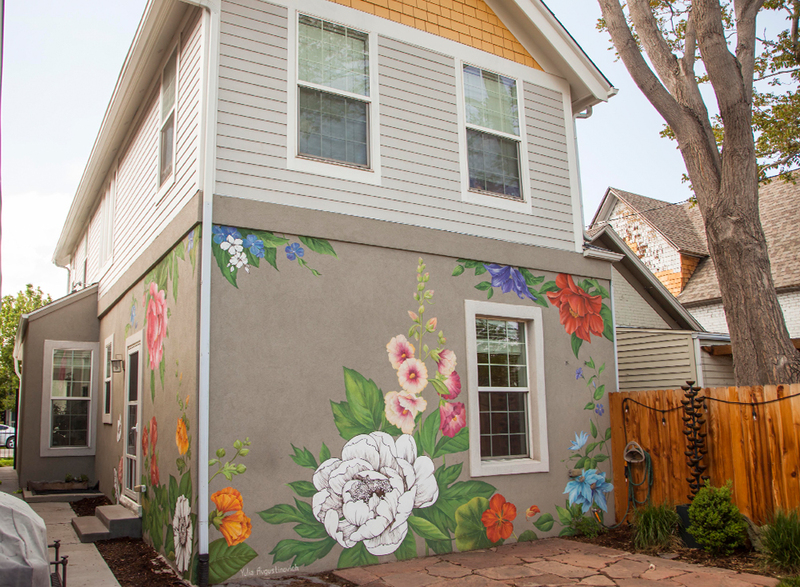 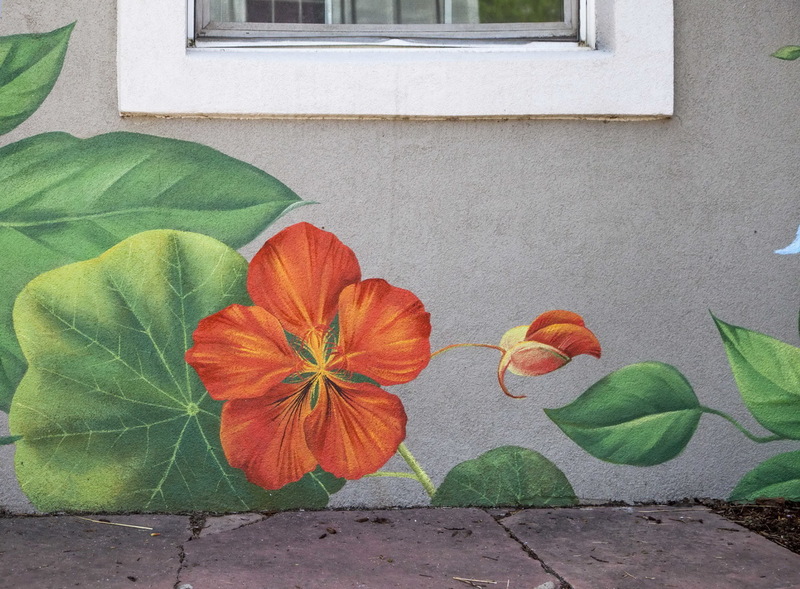 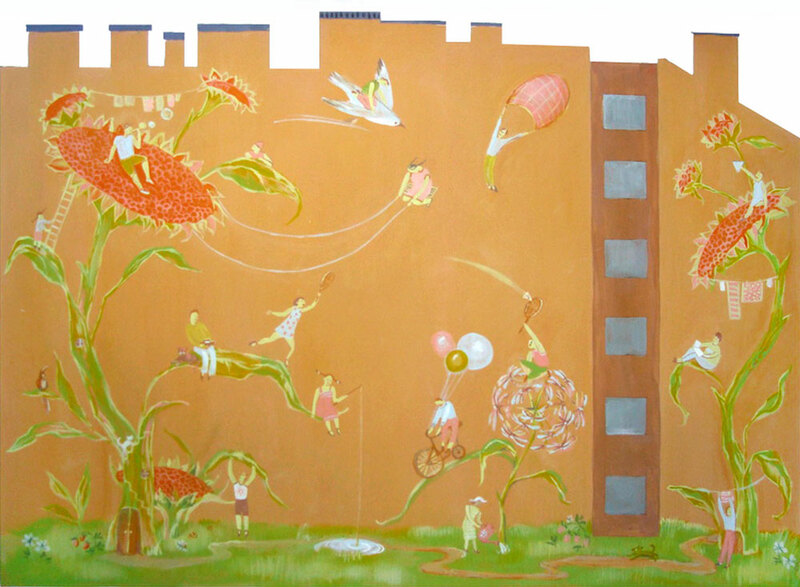 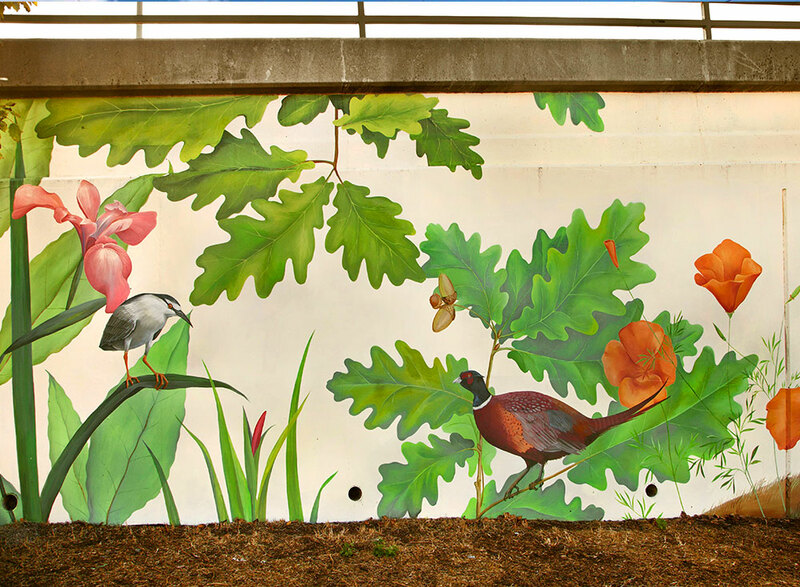 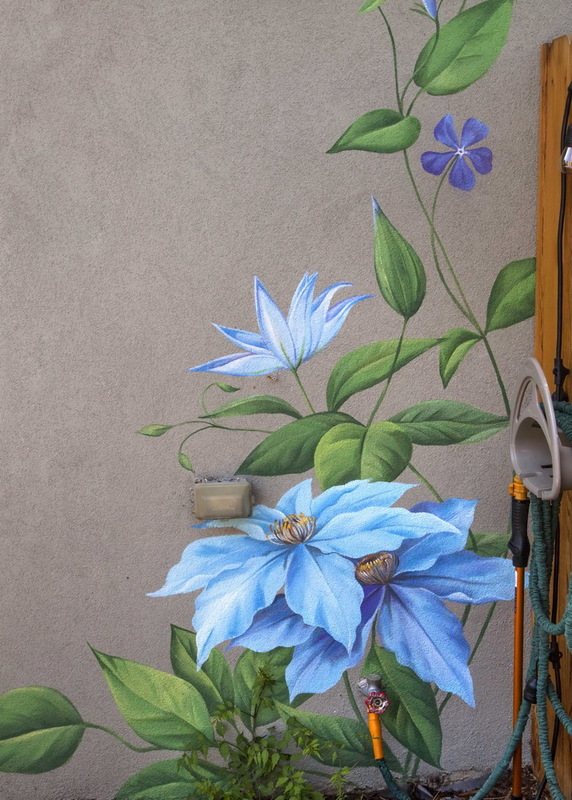 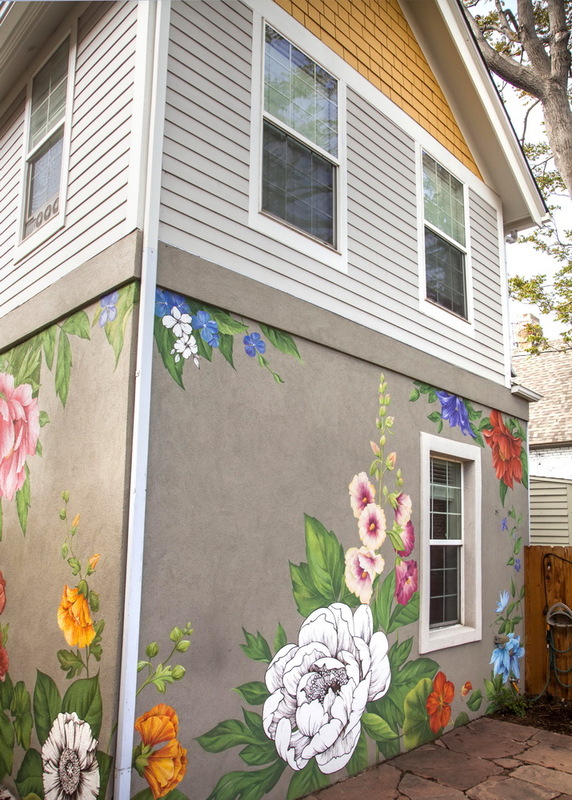 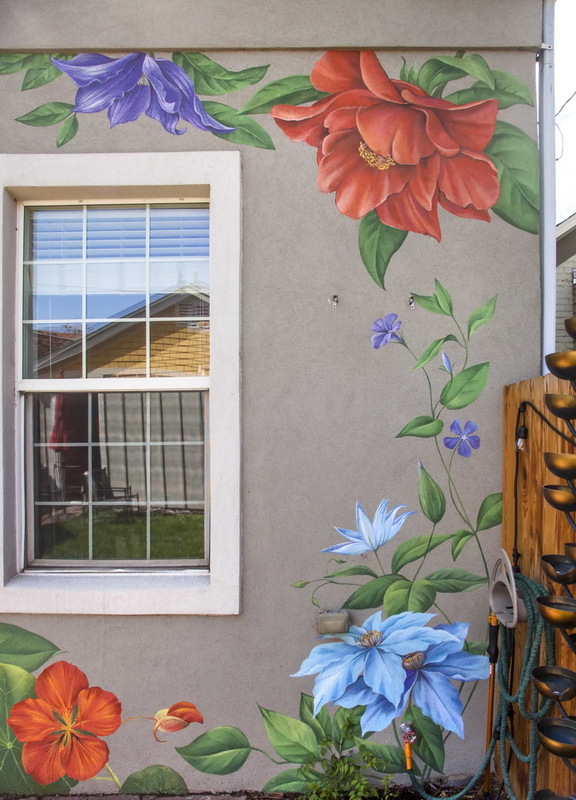 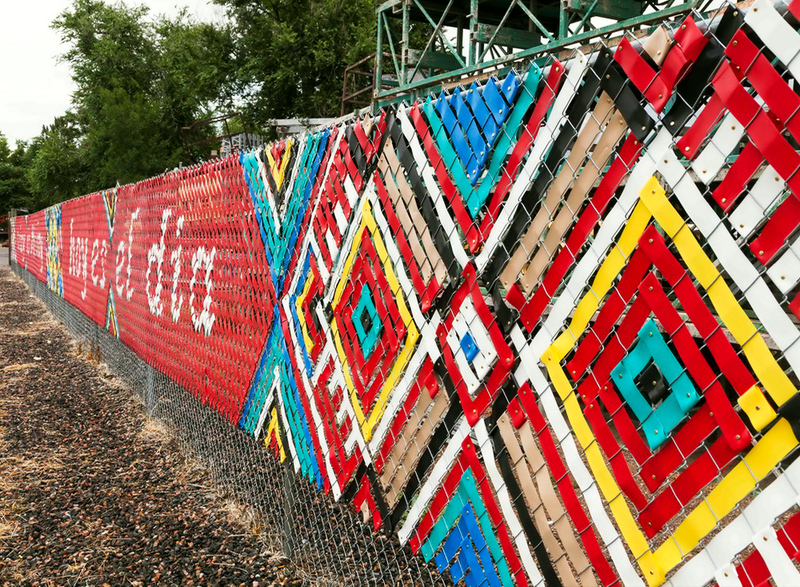 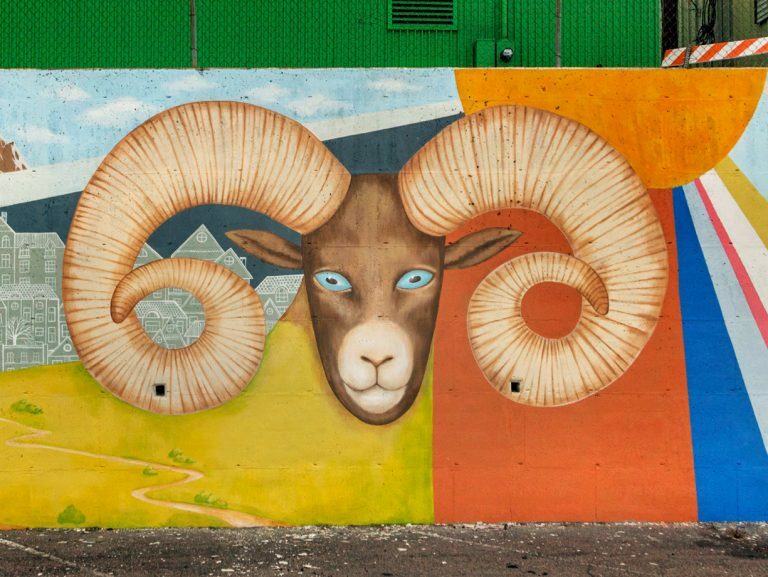 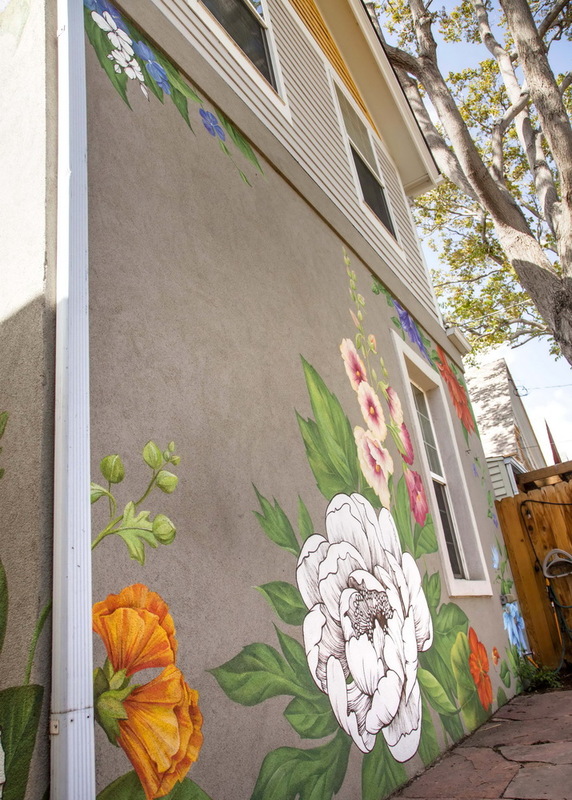 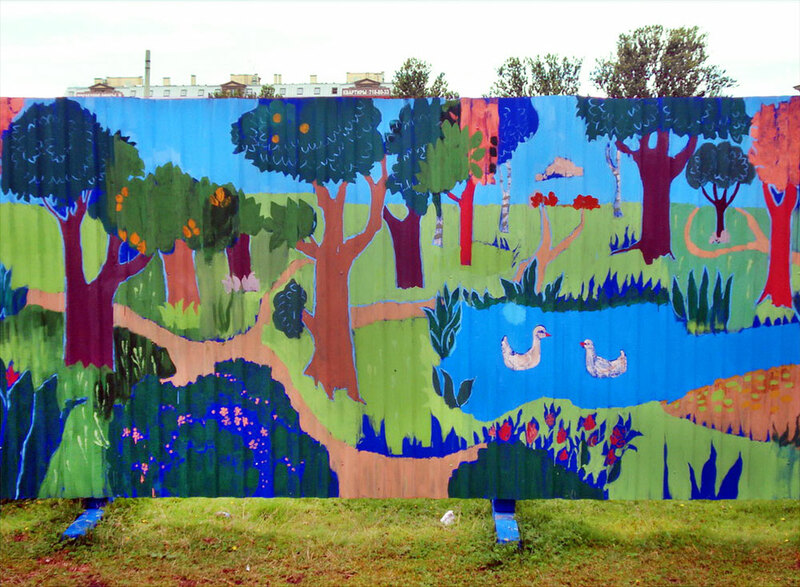 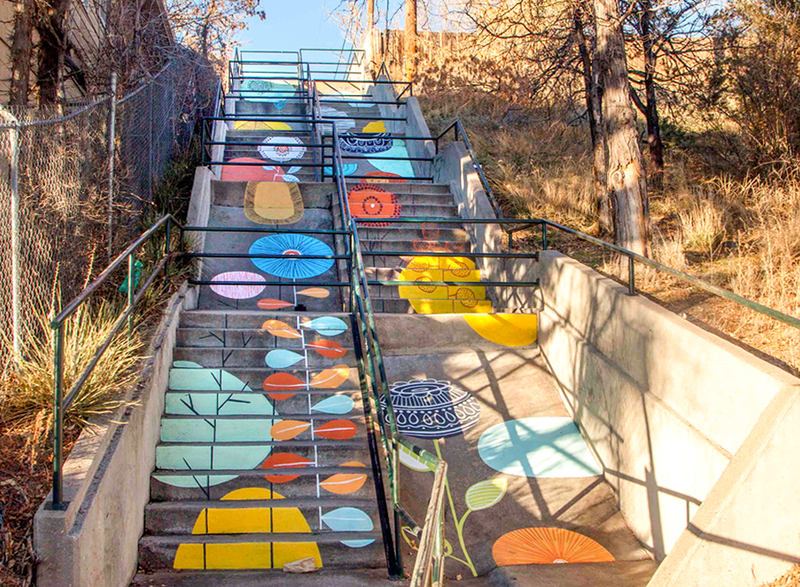 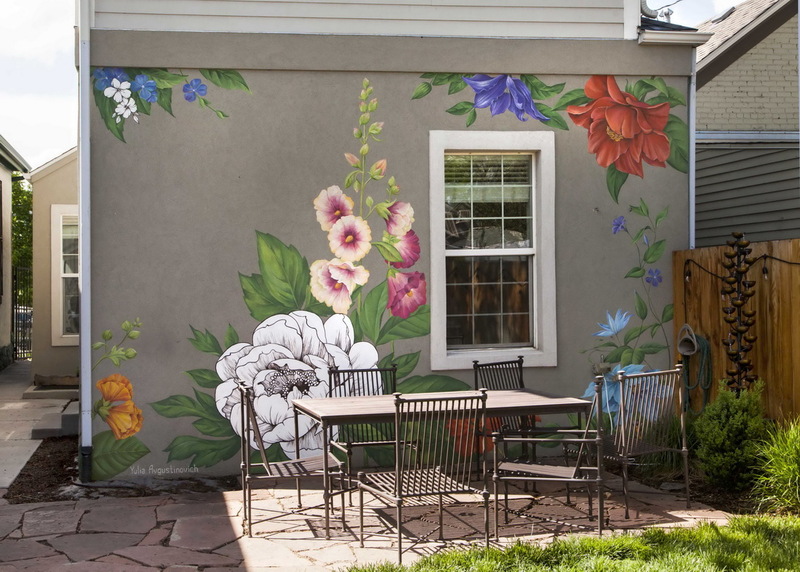 The mural turned the backyard into a colorful paradise that will bloom all year around. 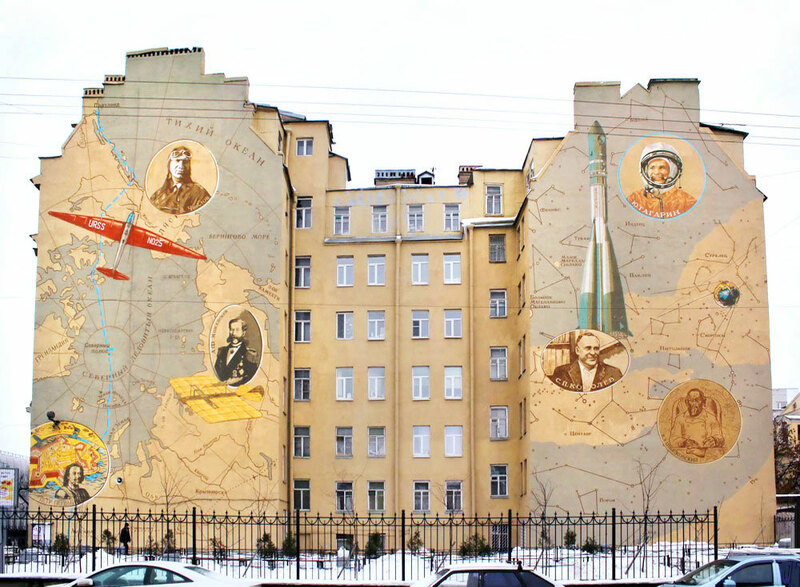 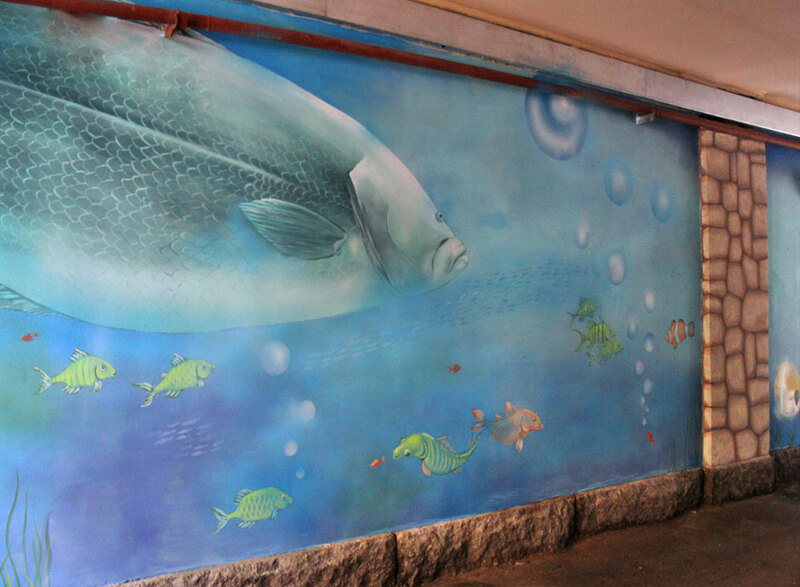 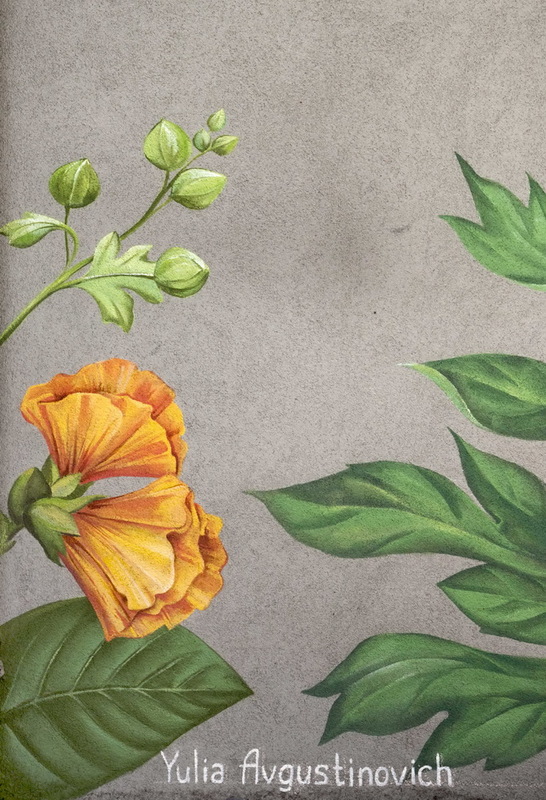 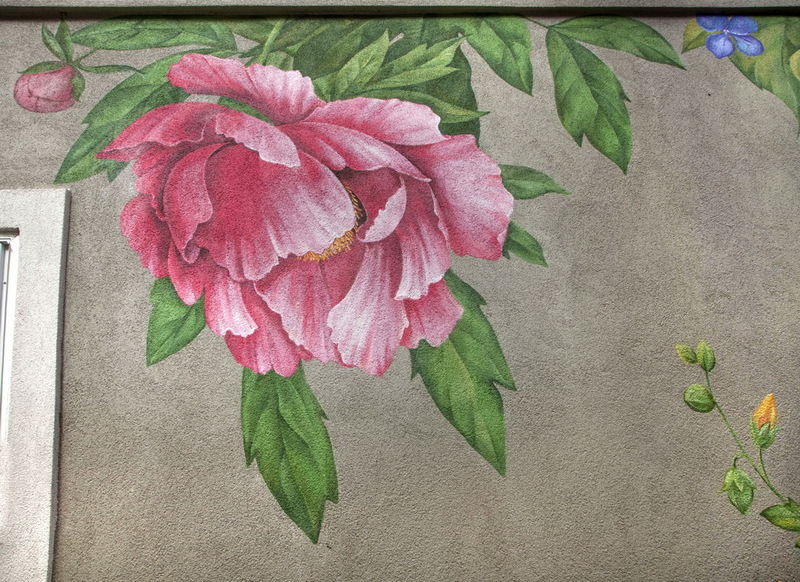 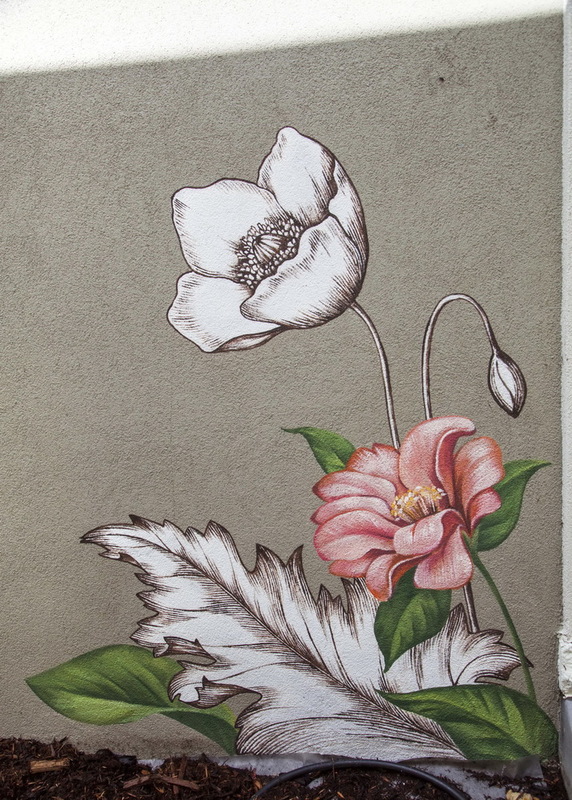 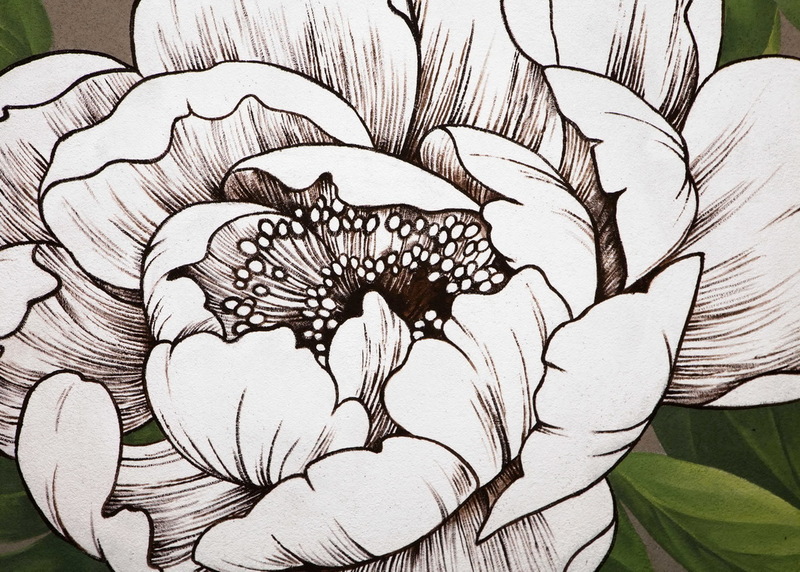 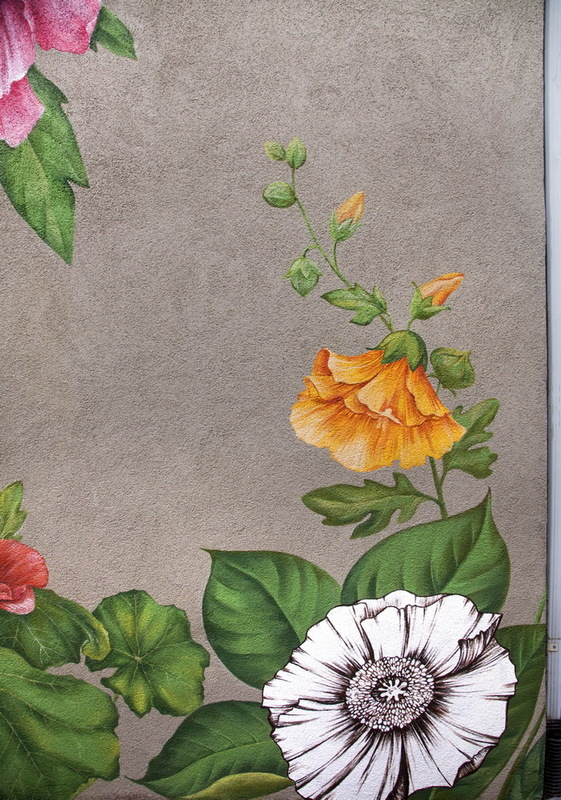 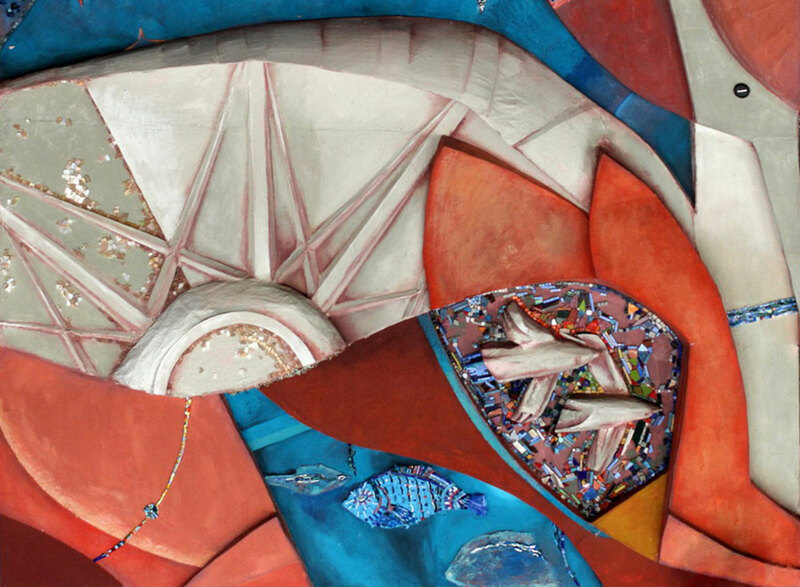 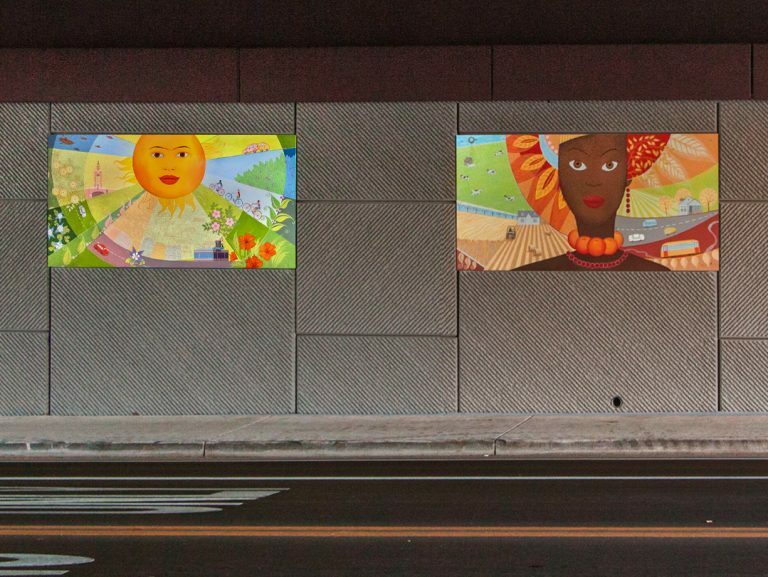 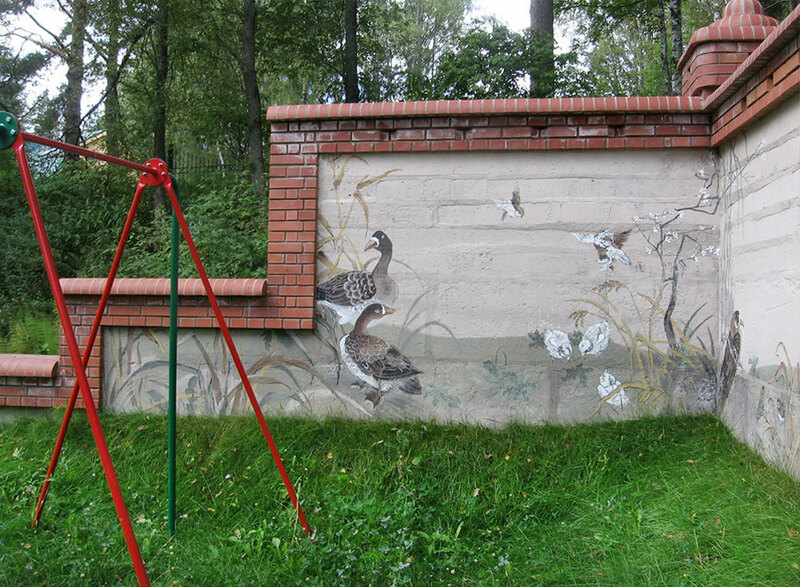 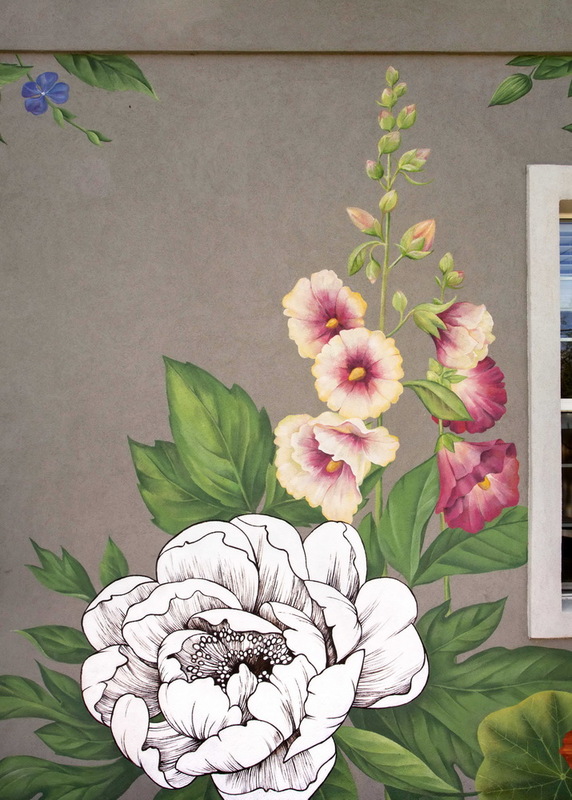 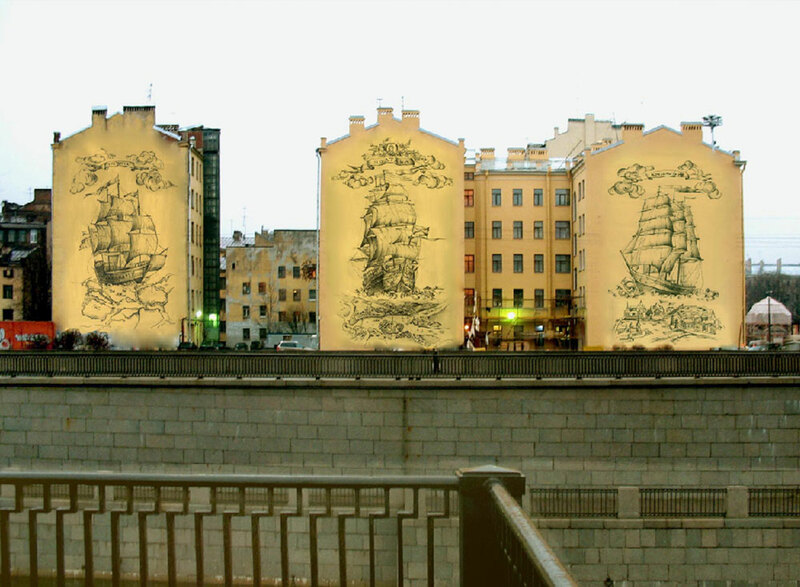 The mural design combined full-color flowers together with black and white graphic drawings of them. 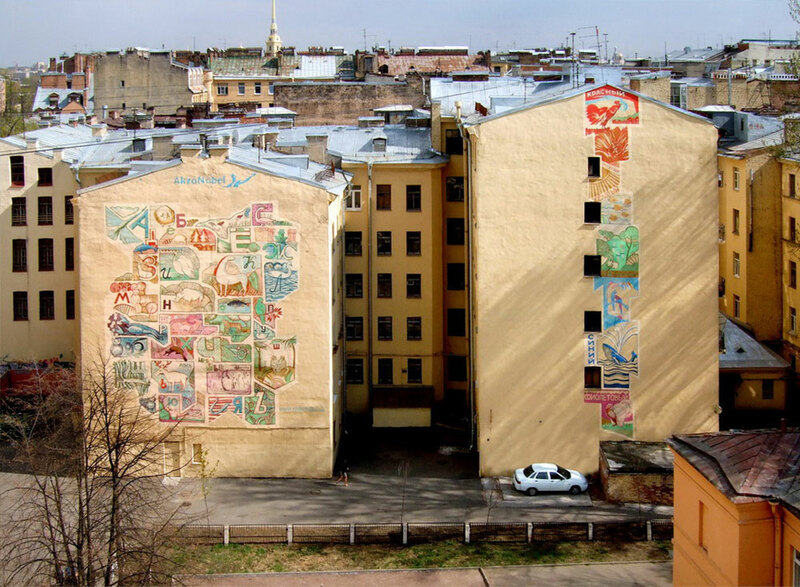 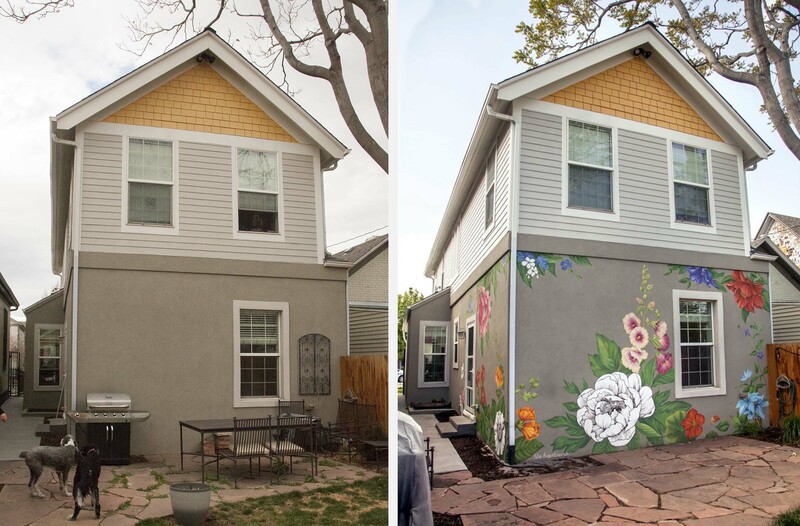 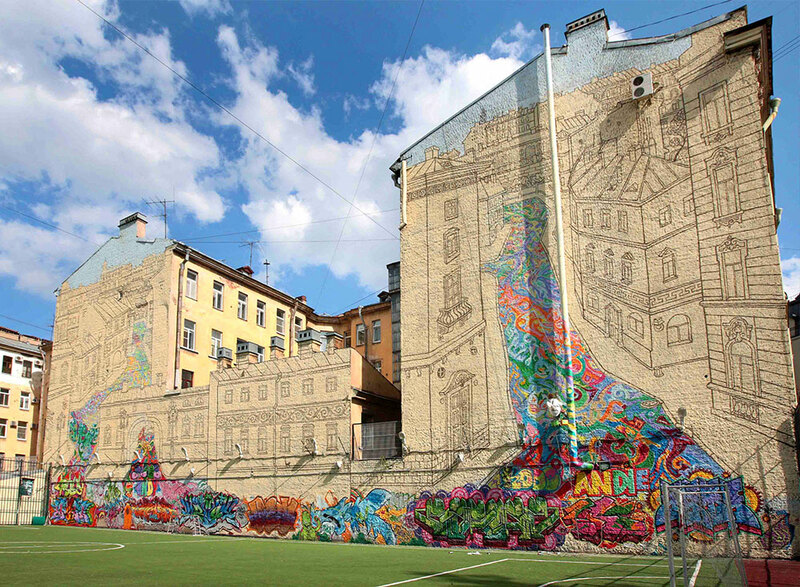 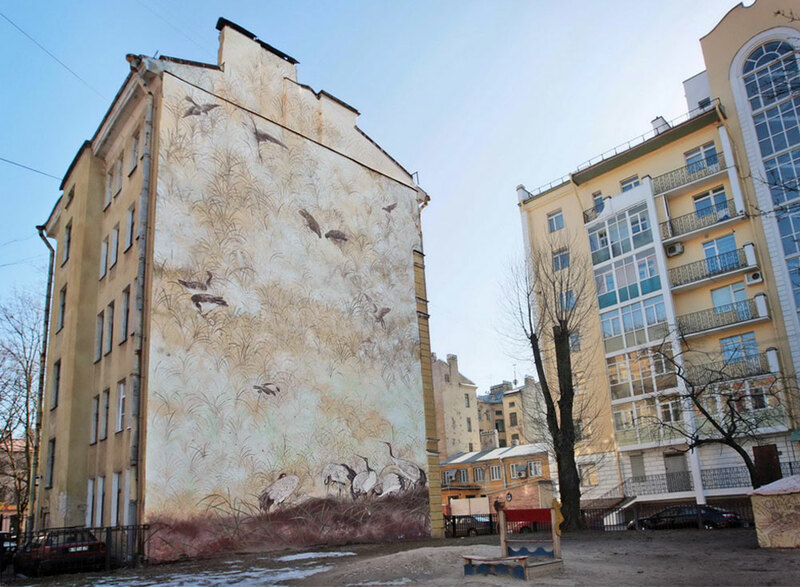 The house before and after the mural.